A visit to Morkes Chocolate Algonquin is a treat! Chocolate in every shape and size envelopes the senses from your first step in the door. Morkes Algonquin owner Claudia Kendzior gave us the grand tour of the candies and party room. All my favorites were there including fudge, peanut brittle, English toffee and orange peel. The giant sweet or tart apples dipped in caramel or chocolate topped with peanuts, pecans, Oreos, candy sprinkles or more chocolate. We tried the Dark Chocolate Breakfast Toffee with a bit of mocha oil for a delicious roasted nutty flavor. Crunchy, nutty and sweet! 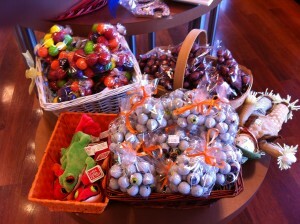 Pick your favorite truffles, nuts, mints, creams, fruits and chocolates or an assorted mix as a gift. All purchases leave the store decorated with a colorful complimentary ribbon. Gift wrapping is available for small fee. 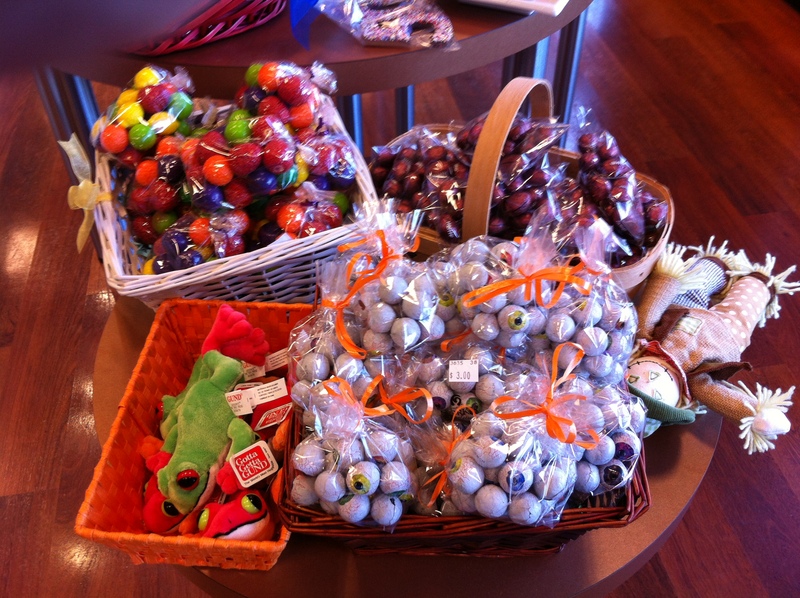 Morkes Algonquin features seasonal items during the year. Cute chocolate ghosts will bring a smile to your little goblin. Other sweets you will find during Halloween include chocolate Frankensteins, eyeballs, skulls and brains as well as Pumpkin Fudge. Additional specialty items include delicious chocolate award statues, party favors and birth announcements. Order a chocolate chess set for a special someone or a pair of high-heeled chocolate shoes. Ready to make your own chocolate creations? Morkes party room is the place. Register for one of the candy making classes designed for children or adults. Create a Chocolate Pizza loaded with your favorite candy toppings. No baking necessary! At Morkes Candy Camp, kids make their own Cake Pops and Push Up Pops. During Morkes Fondue & Truffle class sample a variety of treats dipped in chocolate goodness then dip and decorate your own truffles. Morkes treats the birthday child like royalty. After the chocolate making and eating, it is time to open presents. The guest of honor is the center of attraction sitting atop the regal throne while opening their gifts. Scouts enjoy visiting the store and can even earn a badge for candy making. 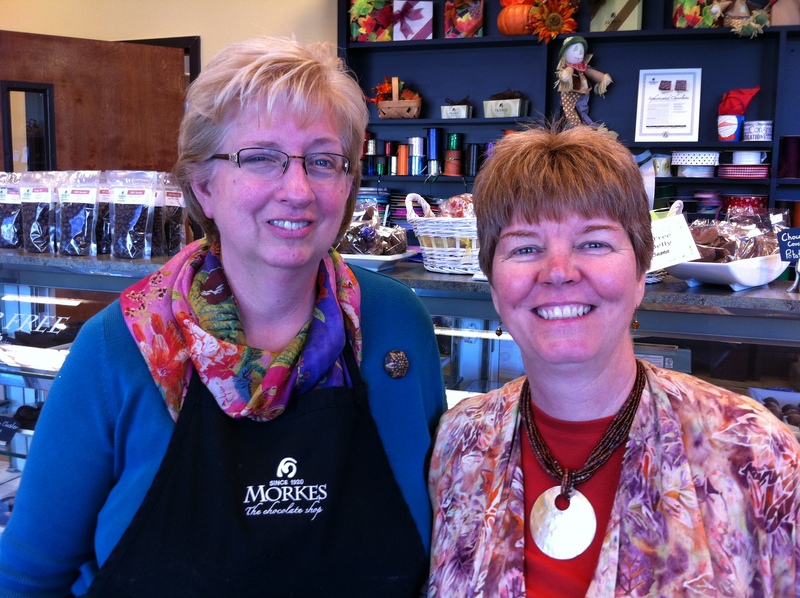 The first Morkes began making premium chocolate in 1920 in Chicago before moving to their current home in Palatine. The Algonquin Morkes opened in 2007 and is independently owned though both stores co-market and both sell items like donuts made in the Palatine store. Visit Morkes Facebook page or stop by their store at 2755 West Algonquin Road in Algonquin just three blocks west of Randall Road.